Most business professionals agree that online surveying is an efficient way to collect data. However, if the survey is not developed using a systematic approach, the results can be inconclusive or irrelevant. By taking the time to identify the research objectives and what business questions need to be answered, you will greatly improve your findings. 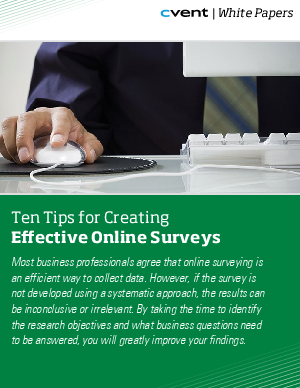 Follow the ten tips in this resource to create a well-designed online survey to increase your participation rate and to obtain the information you need to make better business decisions.